The Trump administration wants additional high-level talks with North Korea and assurances from Kim Jong Un that he is committed to giving up his nuclear program before next month's planned historic summit in order for the meeting to go ahead, a senior administration official involved in planning for the talks told CNN. "We need to have more conversations about what we would be talking about before we know if this is going to be useful," the official said. The official said substantive discussions before the summit would need to take place between North Korea's leadership, and either Secretary of State Mike Pompeo or other top administration officials after the completion of joint US-South Korea military exercises. 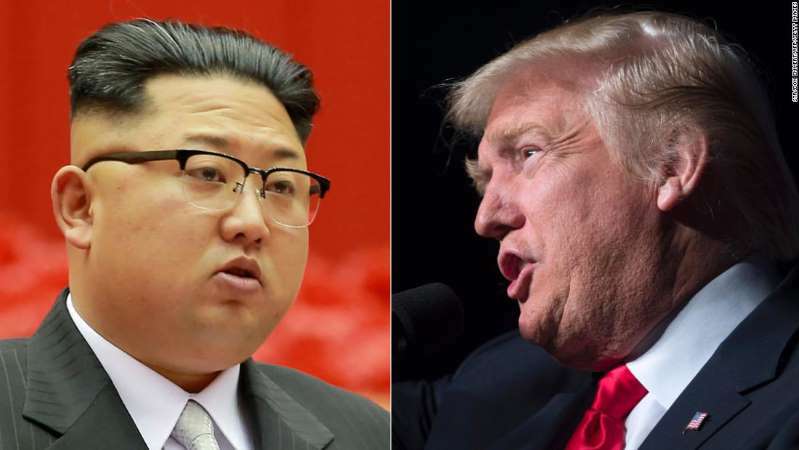 North Korea had threatened to withdraw from the talks if the joint exercises proceeded or if the US continued to insist Pyongyang abandon its nuclear program, prompting concern in Washington about Kim's true intentions. Pompeo said Tuesday he would "do what it takes to make sure that this is a successful meeting," including meeting with the North Koreans again, possibly in a third country. "The key point is whether Kim Jong Un has made a decision to denuclearize. If he has, it should not be that difficult to reach agreement," the official said. "If he hasn't and plans to play the same game he did during the Agreed Framework or the Six Party Talks, then it's not going to work. We don't know the answer to that. If the communications lines open again, we may well know before anyone leaves for Singapore." Top White House officials will travel to Singapore this weekend, but their focus is to confer with a North Korean delegation on logistical and agenda items for the June 12 summit. The officials include, Joe Hagin, the White House's top logistics official overseeing advance and scheduling teams, and recently named deputy national security adviser Mira Ricardel, who national security adviser John Bolton put in place in late April. The official said the US side also wants a demonstrable sign of good faith that Kim has made a "strategic shift" and is willing to move ahead with complete and verifiable denuclearization, something South Korean President President Moon Jae-in said he committed to during their historic summit last month. When asked about the mixed messages coming from the North Korean regime, the official suggested that while Kim Jong Un may have made certain promises to South Korea's Moon, the hardliners in North Korea may not see it the same way. Such a step could include an agreement in principle before the talks that US experts can visit all known nuclear and ballistic missile sites, the official said. Inspectors could be allowed to witness the dismantlement of the Punggye-ri nuclear test site, which North Korea promised to do in the coming days in the presence of international reporters. The official said any agreement from Kim to denuclearize would not involve "action for action" over an extended period of time, as the North Koreans have called for in the past, but rapid and significant progress toward denuclearization before Pyongyang could reap the benefits of an agreement, a condition Pompeo echoed in congressional testimony Wednesday. "If they are simply playing form the same strategy they have used multiple times before, will see see quickly," the official said. The official added that the nuclear demands on Iran that Pompeo laid out in his speech Monday -- such as halting nuclear activities, expanding the access given to nuclear inspectors and effectively ending its ballistic missile program -- should be viewed as a guide to what the US would expect from North Korea in any agreement. "We would need to modify that to take into account North Korea's unique situation, but we are not going to ask less of North Korea than we would ask of Iran," the official said.